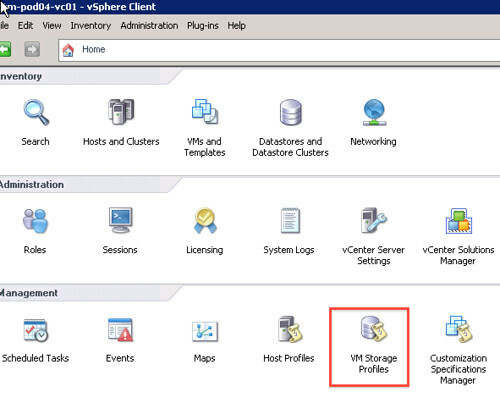 vSphere 5.0: Profile-Driven Storage, what is it good for? 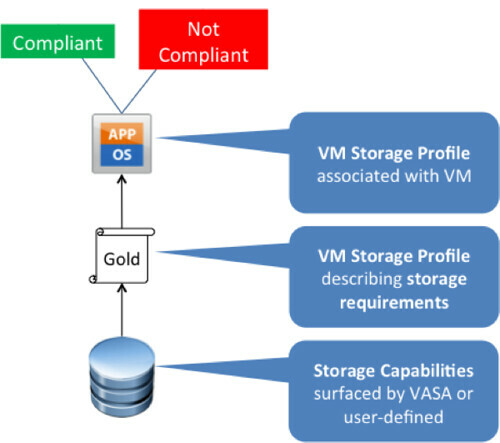 By now most of you heard about this new feature called Profile-Driven Storage that will be introduced with vSphere 5.0, but what is it good for? Some of you, depending on the size of the environment, currently have a nice long operational procedure to deploy virtual machines. 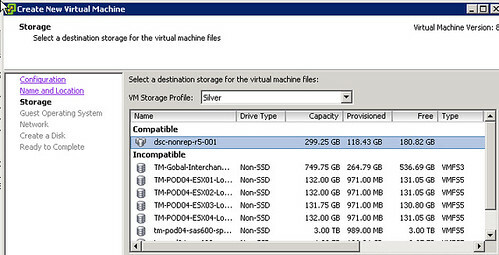 The procedure usually contains gathering information about the requirements of the virtual machine’s disks, finding the right datastore to meet these requirements, deploy the virtual machine and occasionally check if the virtual machine’s disks are still placed correctly. This is what Profile-Driven Storage aims to solve. A couple of simple initial steps as you can clearly see, but a huge help when provisioning virtual machines and when validating storage / vm requirements! I tried it. Right now, the storage “capabilities” is a free text. So a vSphere can admin can call it “RAID 10 replicated” while the actual LUN is RAID 5 and not replicated. There is no integration right now. 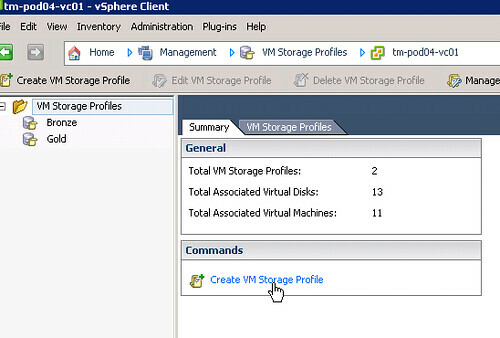 So Storage Admin can later on make changes and vSphere Admin won’t know. Would VASA bridge the gap? Meaning, the actual capabilities are presented automatically to vSphere, and subsequent changes get updated too? For example, is replication is added, then it would be visible to vSphere admin automatically. That would be really cool! Thanks for a good explanation! Bedankt. Mooie uitleg. Heeft me voor dit onderdeel geholpen ter voorbereiding voor mijn VCP examen.